Acne is the last thing anyone ever wants on their skin. If it is not treated in time, it could spread and cause your entire face to have an acne breakout. This can be distressing to deal with. Taking care of your skin is very important. 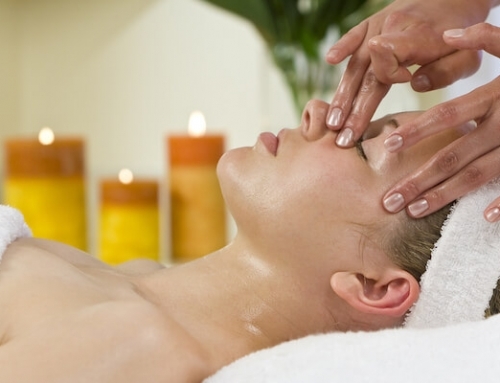 You can opt for regular acne facials in Singapore or even choose to make simple home remedies for treating your skin. Acne is the result of clogged pores which then gets infected with bacteria. Fortunately, with simple home remedies, you can balance the level of oil the skin produces and reduce the risk of inflammation and clogged pores. One of the most beneficial home remedies is applying tea tree oil to the affected area. Tea tree oil is a natural anti-inflammatory and antibacterial agent while providing a cooling effect on the skin. According to research conducted in 2015, for a large number of cases, regular use of tea tree oil does actually reduce acne scars. To use tea tree oil, you can either apply it in the forms of gels, oils or creams. If using essential oil, make sure you first dilute it with water before application. Jojoba oil is extracted from the shrubs of jojoba. Jojoba oil contains a waxy substance that helps to repair damaged skin. Some compounds present in the jojoba oil aid in reducing skin inflammation and thereby reducing the skin’s redness. You can use jojoba essential oil combined in a cream, gel or clay mask and apply it to the affected area. You can also apply the oil of jojoba on a cotton pad and gently rub it directly on your acne. Use regularly for more significant improvements. We all know that aloe vera is a natural anti-inflammatory and anti-bacterial agent. This means that regular uses of aloe vera help in reducing any acne breakout for all skin types. Did you know that aloe vera is also a rich source of water and makes a fantastic moisturiser? If you suffer from dry or dehydrated skin, apply aloe vera gel on your skin for a smoother end product. For acne, directly apply the gel on the affected area and let it sit for a few minutes before washing it off. Honey is an excellent remedy for your skin problems. It has actually been used for ages to treat both acne and other skin problems. As a rich source of many different antioxidants, honey clears waste and debris from clogged pores making your skin clean and clear. To use, simply rub a small amount of honey on the affected skin area.